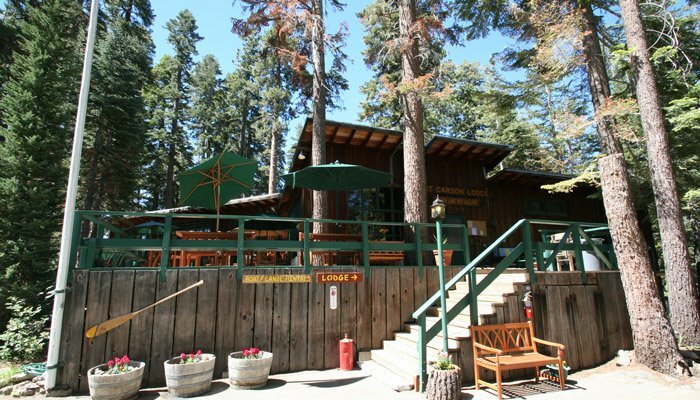 Kit Carson Lodge is a summer resort that is open from the first week in June through the first week of October. 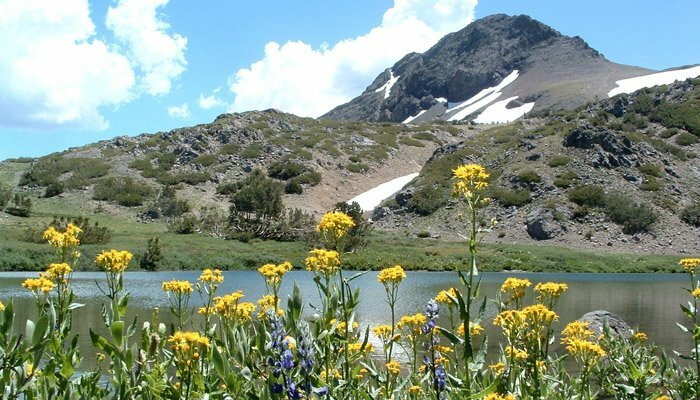 Reservations are accepted year round and can be made by calling us at 209-258-8500 or online through this website. 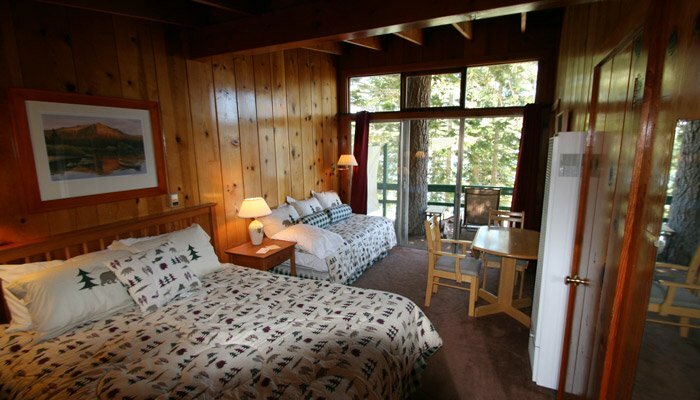 Many of our accommodations are reserved more than a year in advance during the high season. Please review the rental policies below, thank you for your interest in our historic resort. All cabins with the exception of snowshoe and cottontail are designated pet-friendly. No dogs are allowed in the hotel rooms. A fee of $25 per day will be added for a dog to stay in any designated accommodation. Dogs are not permitted in the hotel rooms or non-designated cabins. Having a pet in one of the designated cabins must be part of the reservation process and we must be notified at the time of the reservation. 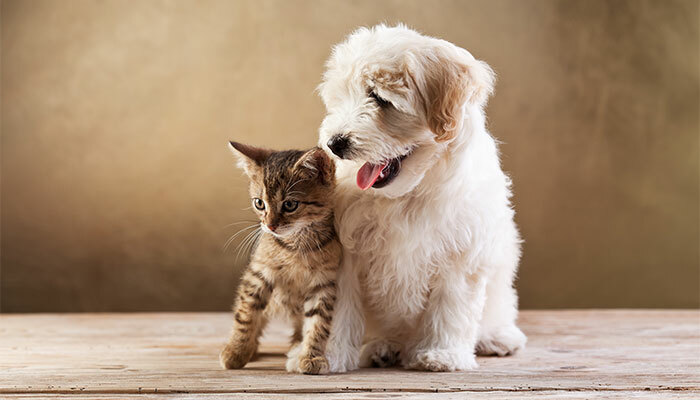 Any pets found in non-designated accommodations will be required to leave immediately and the accommodation may be subject to additional cleaning fees. Dogs must be well behaved, quite and under control at all times. Dogs must never be left alone in accommodations or in vehicles on the property. Dogs must be on a leash when outside of the cabin even when on the deck. Dogs are not allowed on furnishings or beds in the cabins. Dogs that are found to be disruptive (barking, menacing, biting, nipping) will be removed from the property by the owner immediately. No refunds for unused nights will be provided due to an unruly pet. Dogs are not allowed on our private beach with the exception of those dogs that are being taken in motor boat with their owners. They are allowed to travel to and from the boat only. 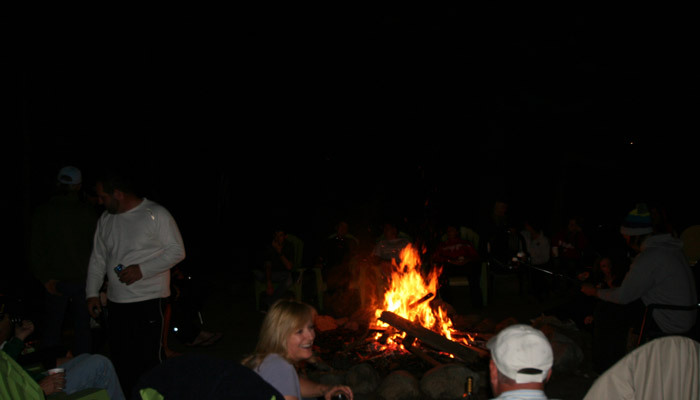 Guests come to the lodge for a quiet experience, barking dogs will be asked to leave immediately. Damage to the cabin including but not limited to furnishings, draperies, screens, windows, doors, decks, railings, flooring, and linens are the responsibility of the renter of the accommodation regardless of ownership of the subject pet. Any damage that occurs during your stay is expected to be reported immediately to management to work out a cost to repair or replace. Unreported damage costs for repairs and replacement above the deposit will be charged to the credit card on file including reasonable costs for labor. Dogs are not allowed on the Lodge deck at any time. They can be tied below the deck during restaurant meals as long as they are quiet, well mannered, not bothering other guests and on a leash. Owners are not allowed to feed their dog from the Lodge deck. Service animals are not subject to the pet policy and are always welcome at the Lodge. Emotional support dogs do not qualify under Federal Law as service animals and are subject to nightly fees and the limitations listed above. 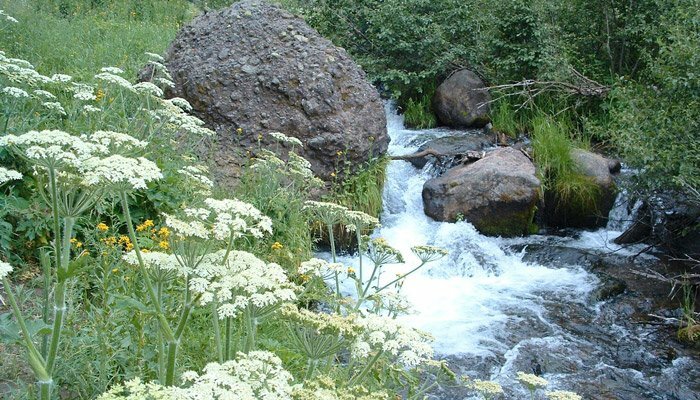 The Lodge is located in the National Forest and fire danger is a key issue. Smoking is not permitted in the accommodation or on any decks throughout the property. A $500 cleaning fee will be assessed to any guest that smokes inside the accommodations. Cooking grills are provided at the housekeeping cabins. Grills brought in are to be placed in designated areas and are not to be used on decks at any time. Cooking is not allowed in hotel rooms or hotel decks. Feeding forest animals is not permitted. We recently upgraded our electrical capacity and are now providing k-cup style coffee makers in each unit. Coffee k-cups are provided in the hotel rooms. Cabin guests are encouraged to bring k-cups with them or they may still use our filter system to make drip coffee as usual. Guests are welcome to bring a hair dryer to use in the accommodations. Maximum occupancies for rooms and cabins are strictly enforced. All persons are included in occupancy, regardless of age. Only registered guests are allowed to use rooms/cabins and resort amenities. Due to noise transmission, children under the age of 10 are not recommended as overnight guests in the hotel rooms or the Cottontail/Snowshoe duplex. 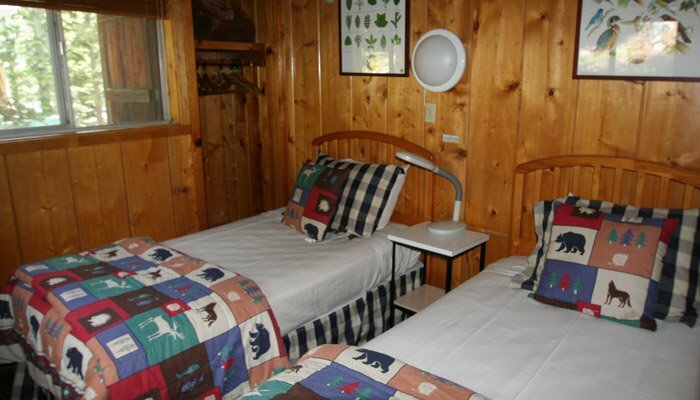 Families with very young children are encouraged to stay in cabin accommodations. Individuals under the age of 18 that wish to rent accommodations must have a valid credit card under their name and parental permission to rent the accommodation. 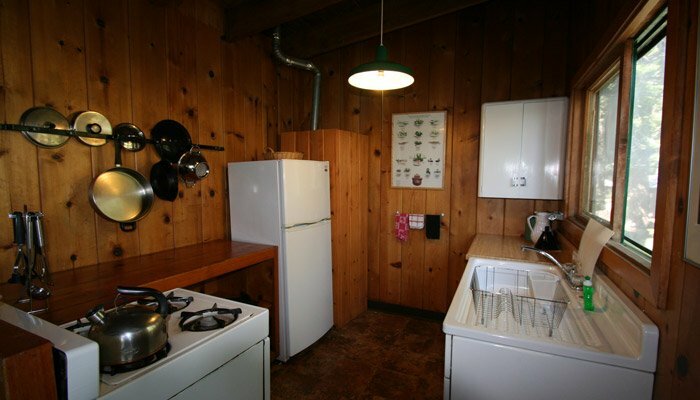 The cabins have complete kitchens with a stove, an oven and a refrigerator with small freezer. Kitchens are fully equipped with utensils, pots, pans, plates, glasses, etc. The Lodge provides bed linens, towels, bar soap, dish soap, toilet paper, trash can liners, salt, pepper and matches. Please bring all other consumables. Guests are expected to keep and leave housekeeping cabins clean including washing dishes prior to departure. Receptacles are available throughout the property to dispose of trash. A cleaning fee of $100 will be assessed for cabins left dirty. Our hotel room guests are provided daily housekeeping services each morning. To receive your complimentary housekeeping services please display your make-up room tag on the outside of your door no later than 10:30 a.m.
Check-in for cabins is at 4 p.m. while check in for hotel rooms is 12:30 p.m.
Check-out is at 11 a.m. for all accommodations. 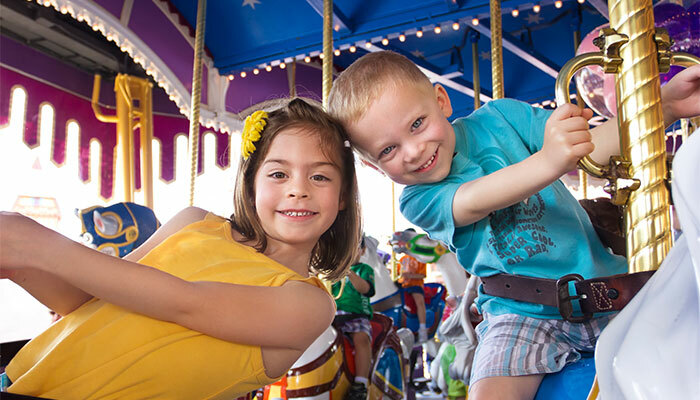 A fee of $50 per 1/2 hour past the check out time will be assessed for all late check-outs up to the rate for an additional day. The Lodge closes each night at 9 p.m. Please call to make arrangements for keys if you will be arriving after 9 p.m.
Stays of one night must be paid in full at the time of reservation. Stays of two nights require a deposit of one night plus tax. Cabin reservations made within 60 days and hotel reservations made within 14 days of arrival will be charged the entire amount of the reservation. Cabins must be paid in full 60 days prior to arrival. Hotel rooms must be paid in full 14 days prior to arrival. Cabin reservations canceled within 60 days and hotel reservations canceled within 14 days prior to arrival are the guests responsibility. We will attempt to re-rent the accommodation for you, but if we are unable to do so you are still responsible for the reservation cost. There is a $40 cancellation processing fee for all cancellations. The Lodge does not extend refunds for late cancellations or early departures initiated for reasons beyond the Lodge's control.